What are the key things an airport lounge should have? Recently I traveled to Mainz, Germany for a quick trip to share the Christmas Markets with family (post coming soon). Enroute, between the three of us, we visited 3 airport lounges in the States (across 2 airports), and 1 in London. Two were American Airlines Admiral’s Clubs, one was the Centurion Lounge (at DFW), the last was British Airways’ Club World lounge. The way back we visited the Lufthansa First Class Terminal, and the Lufthansa First Class Lounge in Terminal B (both at Frankfurt). Not to go Maslow’s Hierarchy here (and I’ve talked about Maslow’s Hierarchy of Needs for travel before), what are the core things you expect in a lounge? I think everyone would agree, the number one thing that you expect when you enter an airport lounge, whether it is one you are paying for, or that you have access to as a benefit of a credit card, or class of service, you do expect a place to sit. Otherwise, why not just find a place to sit at the gate, right? I mean, even if you have all of the other things I’ll talk about, what fun is it to be enjoying a drink, maybe a snack, playing on your iPad or laptop, all while standing? Many would agree that free wifi is quickly becoming a very basic need. There’s not a whole lot more to this. Hotels are starting to get the message. Nearly every airport lounge provides this, but not every airport lounge actually provides usable or fast wifi. 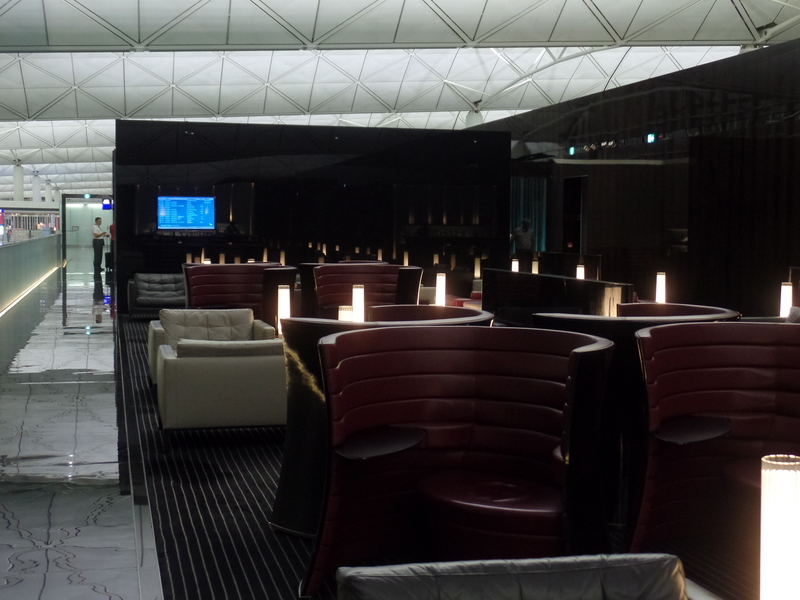 Perhaps the perception that airport lounges are exclusive, imbues the sense of privacy. Maybe I take that too far when I expect that an airport lounge will have a reasonable amount of restrooms, and that they will be clean. Compare two lounges: The Admirals Club in Reagan-National (DCA), and the Centurion Lounge in DFW. For men, both have 2 stalls, 1 urinal. 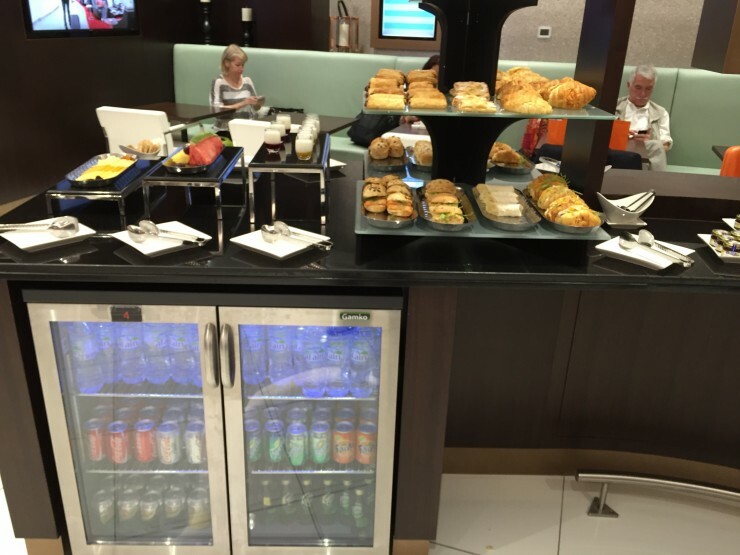 The Admirals Club has a limited bar, and even more limited snacks. The Centurion Lounge, on the other hand, has slightly more space than the Admirals Club, a bar that prides itself on mixologist level beverages, and has a spread of food–Texan inspired no less. It seems to me like that’s just not enough, especially during prime time hours. I’ve seen lines! This is not a baseball or football game folks! 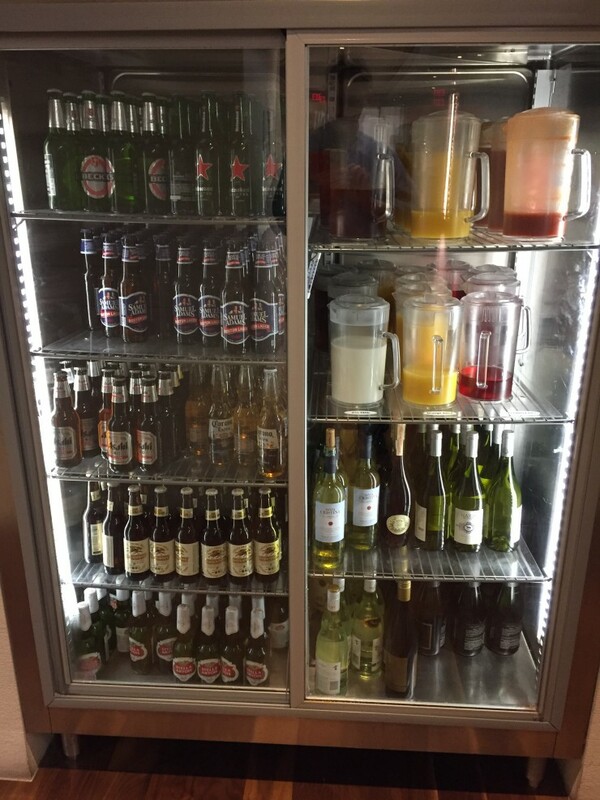 Perhaps this is overkill, but, well the Star Alliance Lounge in the Tom Bradley Terminal, LAX is pretty stocked! More and more airport lounges are shifting to a very basic “included” beverage set, with a “premium beverage menu,” I don’t necessarily see this as a bad thing. I mean, on the one hand, this allows lounges like the Centurion Lounge to stand out, in that nearly everything in the bar is included with lounge access. On the other hand, it does beg the question of how much further airport lounges will go. When I say this, I really mean airline airport lounges. Will the Admiral’s club eventually start charging for everything? Will it, or its peers eventually become the Spirit of airline airport lounges? I suspect they can’t, because, otherwise, why not just go to the TGI Friday’s in the terminal, but, who knows? An example: The snacks at the Etihad US Pre-clearance Lounge in Abu Dhabi. When passing through any airport, it is always nice to have a quick snack. Some lounges are better, like the Centurion Lounge mentioned above. Others, like the Admiral’s club offer more substantive snacks at costs. All of these options work. The fact is, there just needs to be something available. What fun would it be to enter a lounge, where you might get wifi and a beverage, but it is a barren wasteland for food. That would leave me yearning for those Milano Cookie 2-packs of the United Club. Perhaps the most basic concept of an airport lounge is to find a place with a bit of peace and quiet, away from the masses as they make their way from one gate to another. Maybe this is an overly optimistic view, but, lounges shouldn’t be so loud with the hustle and bustle of an airport. Lounges should be the last bastion of peace and quiet. Whether it is instituting cell phone free areas, or having enough small segments of the lounge, that any lounge goer can find a quiet space to sit, collect their thoughts, get some work done, or just relax, before their next flight. I realize that Airport Lounges are kind’ve a First World Problem, but, it is important to highlight that there are some aspects of a lounge that must be there for it to really be a worthwhile use of space, and more importantly, be worthwhile to enter. What do you think are the basic requirements for an airport lounge? For me, there’s nothing better after an overnight flight than a shower. It doesn’t matter if it’s cramped and spartan (DME Austrian lounge), spacious and perfunctory (MUC LH Business class lounge), or luxurious (my dreams of a cabana at HKG); I want a shower more than almost every amenity you mentioned. Number one should be expanded a bit, for me. Not just adequate seating. Adequate COMFORTABLE seating. The NWA lounges at MSP should have been the best, back when NWA existed. But they were all modern angles and horrid to sit in. The lounges Delta took over, at least in DTW, are still that way. But if a shower is not a necessity, it certainly is a wonderful thing. I was able to avoid getting up yet another 1/2 hour earlier the day I left for VCE, because I knew that my stopover at JFK had showers. @MickiSue – You raise a valid point. Comfortable seating is important. My father taught me to stand for long periods of time (or rather, how to stand for long periods of time, comfortably), so sometimes I can get by, but I suspect many aren’t that fortunate. FOOD. Not just crackers and cookies, but real food, enough that can comfortably pass as a reasonably healthy meal. A lounge should have everything I need for a few hours of relaxing. I shouldn’t need to venture out into the terminal to eat. I also shouldn’t have to pay $15 for the privilege of accessing mediocre club food (looking at you AA non-flagship). A couple of small, meaty sandwiches, some salad, fresh fruit.